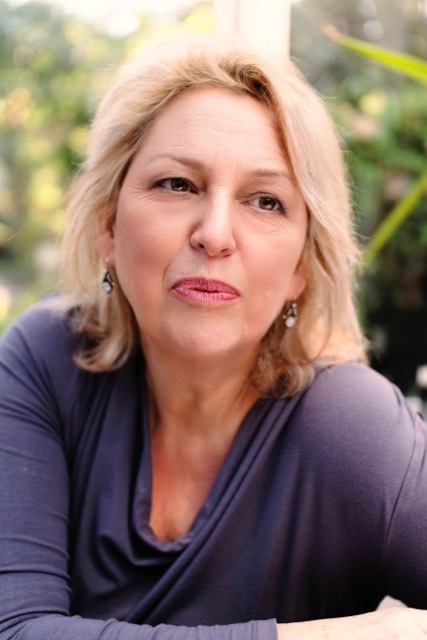 I was recently invited to be a guest on BBC Radio 5 Live to discuss the concept of Blue Monday – supposedly the most depressing day of the year that falls in late January. Contrary to the current popular belief that happiness is supposed to be a constant state I see it much more as a fleeting emotion that can be experienced along with all other possible emotions.I believe it’s okay not to feel okay and to feel sad too – whatever day of the year!. It’s by experiencing sadness and honouring that emotion we can recognise and value the times when we do feel happy. 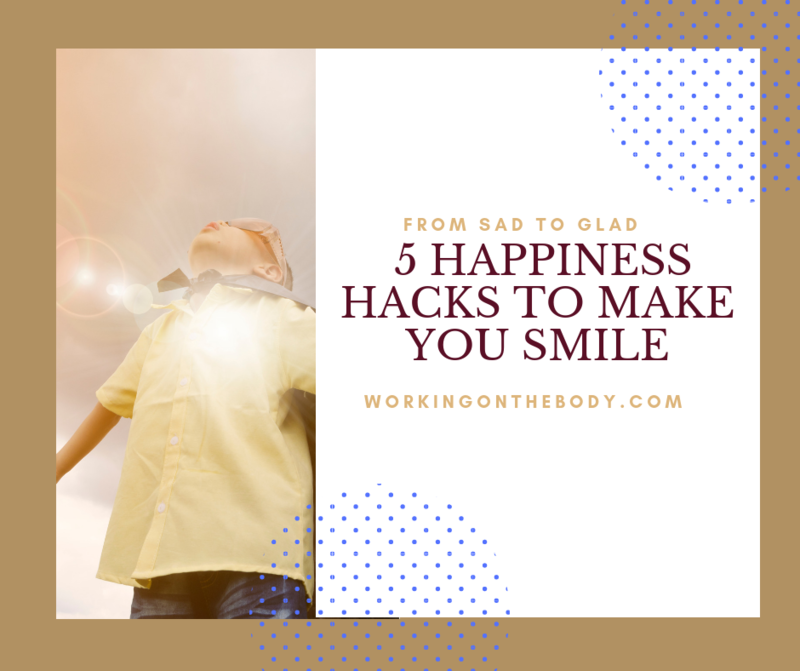 In this Therapy Digest, I discuss 5 Happiness Hacks To Make you Smile so that we can all maximise our opportunities for happiness and see how you can make yourself smile whenever you want to. 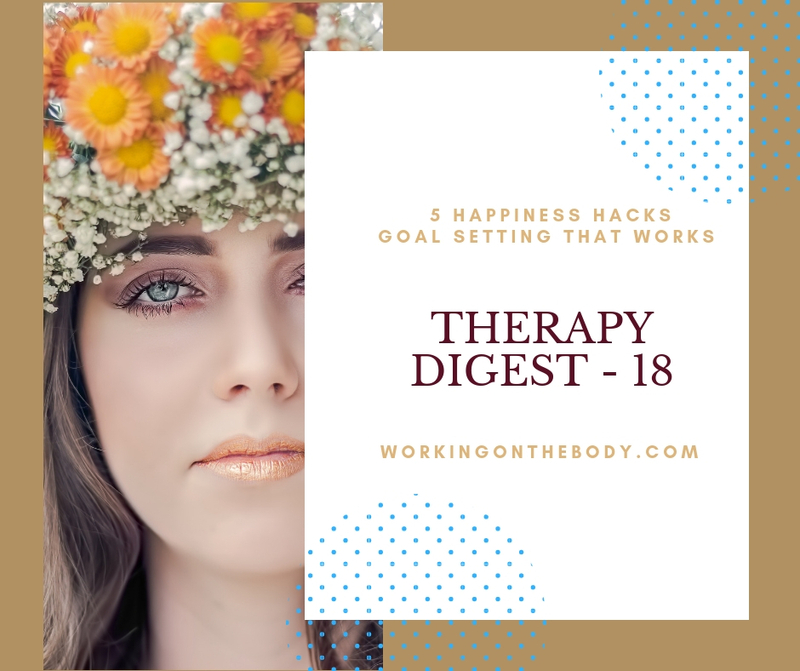 In Therapy Digest 18 I also look at how goal setting isn’t a stick to beat yourself with when it all goes wrong but an opportunity to achieve the changes you want for yourself instead. 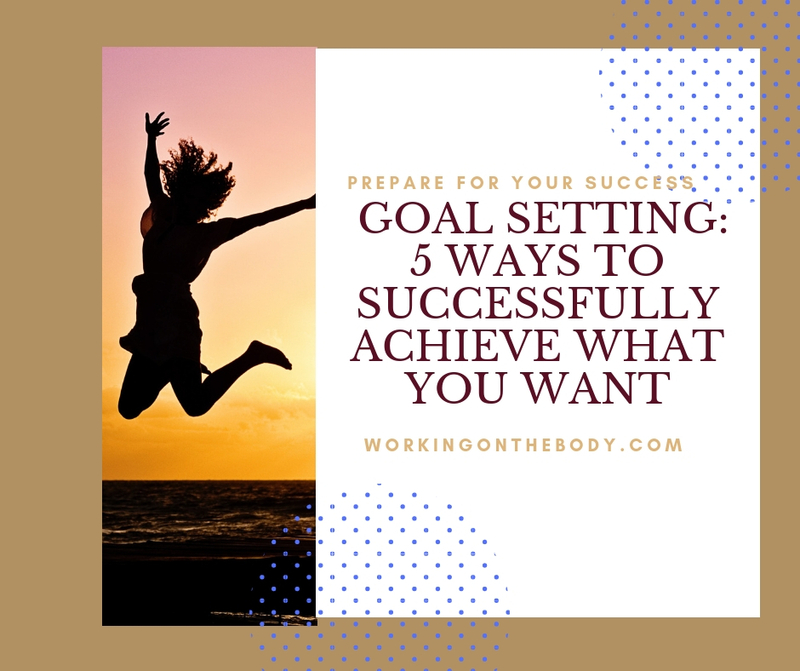 It just takes a change of perspective to ensure a greater chance of success and I discuss that here in Goal Setting: 5 Ways to Successfully Achieve The Changes You Want. Happiness is a fleeting emotion and not a constant state. Feeling happy is on the spectrum of emotions that includes sadness too and all of our feelings are valid. We can achieve a healthier mental state by accepting all of our emotions and not rushing ourselves to feel different or denying any of our feelings. Sometimes it can feel challenging to feel happy so here are 5 happiness hacks to put a smile on your face. They range from something you can do in 30 seconds through to twenty minutes, and all of them will help you to feel lighter and happier. People have got it wrong about smiling. If you want to feel happier start by making yourself smile first. The changes in your facials muscles send signals to your brain to release happiness endorphins, and then you can feel like smiling even more. People can get caught up in unhelpful thinking styles. One of them is catastrophic thinking. That’s when a negative thought comes into your mind about something that is outside of your control that may or may not happen in the future. People can have these thoughts about anything, and they’re easy to identify as the scenarios that play in their mind become more and more dark, negative and catastrophic. It’s as though you allow your imagination to imagine an ever-worsening series of ‘What if?’ until you are completely absorbed in your own nightmare version of day-dreaming. It’s imperative to acknowledge that catastrophic thinking is something you do to yourself and not something that happens to you. This is a symptom of disordered thinking, and this technique is about you taking back control of your thoughts – because ultimately that’s all they are – just thoughts. So, when a negative, catastrophic thought comes into your mind say to yourself ‘That’s one of those thoughts I scare myself with’ and then interrupt it. The most successful way to do this is by physically moving. If you’re sitting down then get up. If you have a little privacy then stand up and raise your left knee and tap that knee with your right hand, then switch and lift your right knee and tap that knee with your left hand. This is called Cross-Crawl and is a body energy technique taught to break the hold this unhelpful thinking can have on you. It’s so silly to do – hence the need for privacy – you’ll often end up smiling at yourself, and you’ll have forgotten whatever was on your mind too. One of the reasons for not being happy is the inner voice in your mind that runs a constant monologue about everything you say or do. If after reading that you are thinking to your self ‘What voice in my head?” well, that’s the one I mean. It usually exists just below your conscious awareness and rarely has anything constructive or supportive to say. It’s like a constant drip, drip of toxic negative judgments and your inner negative voice can eat away at your self-esteem and your ability to be happy. Sit quietly for a few moments and tune into the voice in your head. Really hear the sort of things it says to you. Try to work out if the judgements your inner voice say remind you of anything anyone said to you as you were growing up. You might have an a-ha moment when you realise for how long you’ve been carrying these old judgements around with you and how unhelpful they are. Gratitude work is one of the oldest and most effective ways to increase happiness. At the end of your day, preferably just before sleep, just jot down in a notebook all the things that happened to you during the day that you are grateful for. The physical process of hand-writing these sentences of gratitude is essential so preferably do not type them. In tough and challenging times it can be really difficult to recall anything to feel grateful for but as you commit to this nighty process more things will come to your mind. Again a commitment of a minimum of 21 days of recalling everything you feel grateful for will reap you increased happiness in your life in an almost magical way. Begin with five things you are grateful for and try to build into a list of fifty. When your written list is complete, it will be enough for you just to read to yourself each evening all the things you are grateful for. Working with gratitude the last thing at night after your busy day sets up your subconscious mind to find and feel more gratitude as you sleep soundly at night. It takes 20 minutes of exercise before the happiness endorphins are released in your brain making you feel exhilarated and happy so don’t give up at 19 minutes! 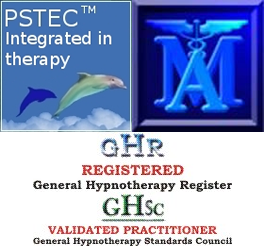 If you feel you are struggling to feel happiness in your life and have underlying reasons that make you feel sad most of the time then reach out to me with an obligation free discovery call. You may need some help to transform how you think and feel about yourself before you can experience your full emotional range from sad to happy. Instead of setting yourself up to fail by making a grand gesture the alternative is making incremental changes instead. Although this may feel less dramatic than a pledge made as the clock strikes twelve to beckon in the New Year, it is often a more successful way to achieve the goals you want to achieve and make the changes you want for yourself. However, if you wait for everyone in your life to come on-board and be in agreements with your plans, you could wait a lifetime so do as Mahatma Gandhi suggested: ‘Be the change you want to see’. Set your own standard. It’s about doing something for yourself. Be kind to yourself. If you feel overwhelmed making changes to your habits and anxious about succeeding with lifestyle changes then break down your goals into smaller steps which are more manageable to tackle.